This notice is a courtesy to Atlantic tuna fishery interests to keep you informed about the fishery. Official notice of Federal fishery actions is made through filing such notice with the Office of the Federal Register. 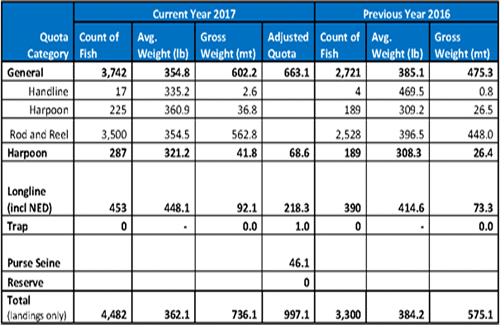 To view catch statistics from previous months, please visit http://www.nmfs.noaa.gov/sfa/hms/species/tunas/landings/bft_landings.html or contact Brad McHale at (978) 281-9260.